Software as a Service (SaaS): Offering the most complete portfolio of any public cloud, Oracle Cloud’s SaaS delivers modern cloud applications that connect business processes across the enterprise. Covering everything from customer experience to enterprise resource planning, human capital management, and more, Oracle Cloud’s SaaS offerings are everything you need your business to be: personalized, connected, secure. Platform as a Service (PaaS): Delivering the industry’s #1 database (Oracle Database) and #1 application server (Oracle WebLogic Server), Oracle Cloud’s PaaS is the industry’s leading enterprise cloud platform. Built on proven Oracle technology that runs everywhere, Oracle Cloud’s PaaS helps organizations drive innovation and business transformation. Infrastructure as a Service (IaaS): Offering a comprehensive set of infrastructure services—including elastic compute and storage—Oracle Cloud’s IaaS lets businesses run any workload in the cloud. Best of all, it does so in a fully integrated environment that has been optimized for the cloud and provides a unified security model. Cloud solutions for industries leverage the comprehensive Oracle product portfolio to address distinct industry-specific requirements. With solutions for financial services, communications, consumer goods and more, Oracle enables you to accelerate the delivery of innovation, improve customer experiences, and improve margins to drive competitive advantage. Discover how Oracle's Security solutions can help to ensure data privacy, protect against insider threats, and enable regulatory compliance. 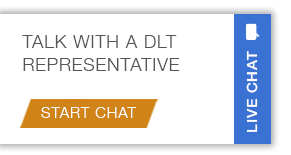 For more information, call 1-800-262-4DLT or email oracle-sales@dlt.com.